Unconfirmed reports claim that the beautiful wife Of Edo state governor, Iara Fortes Oshimhole, has filed for divorce. 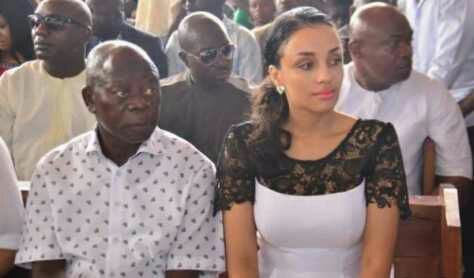 According toTiwasblog, Mrs Iara is filing for divorce on claims that her husband, Adams Oshiomhole, is fetish and diabolic. Iara was alleged to have also accused her husband of being responsible for the death of his former wife Mrs Clara Oshiomhle who died on December 7, 2010, at the Abuja clinic, Maitama, after a protracted battle with chest cancer.